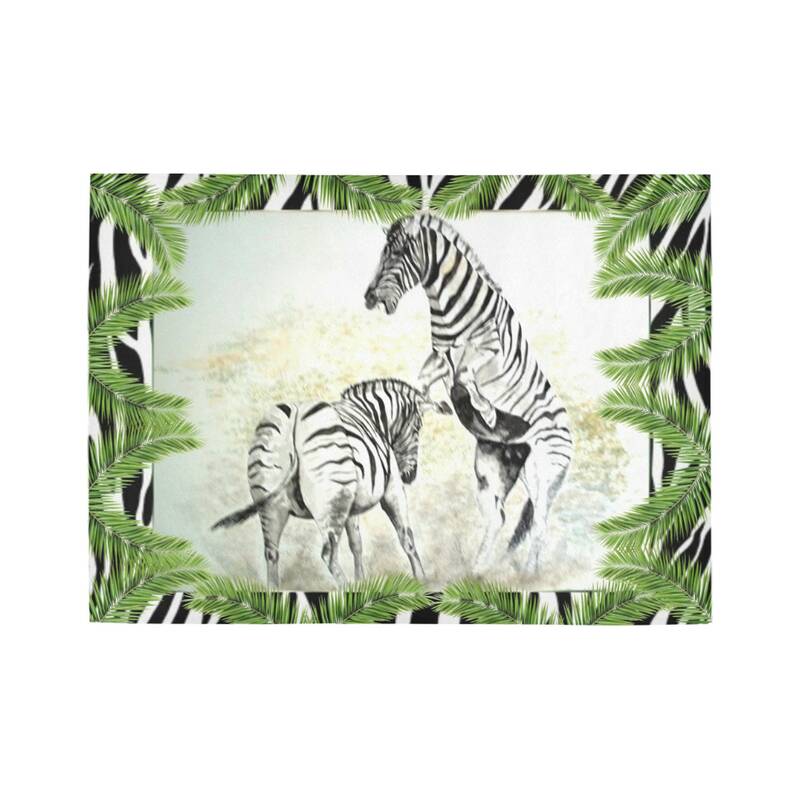 Beautiful zebra's printed on this 7' x 5' area rug. 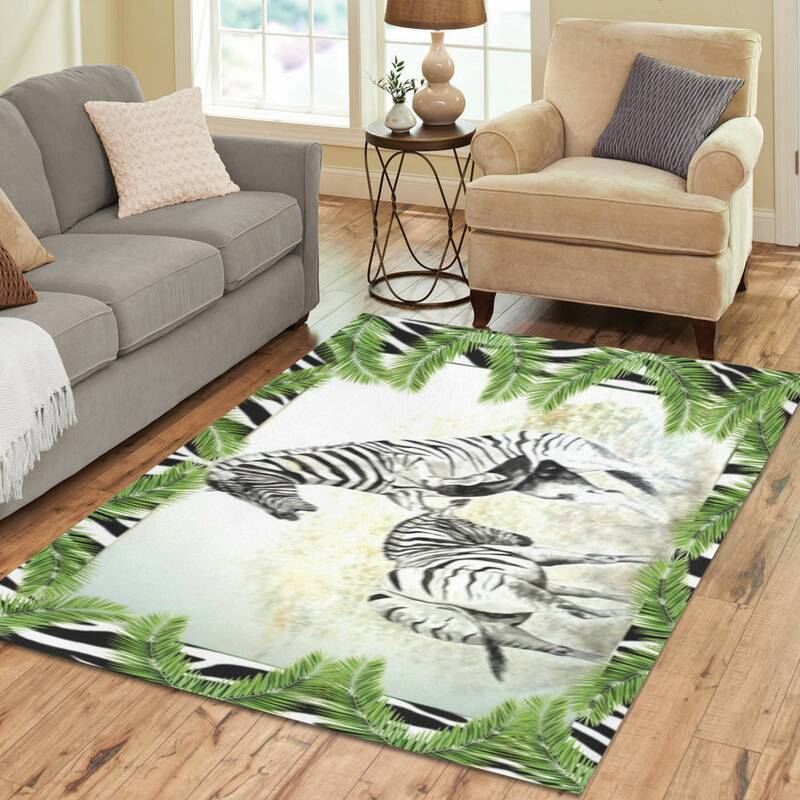 Created from a hand painting and digitized to fit this rug. 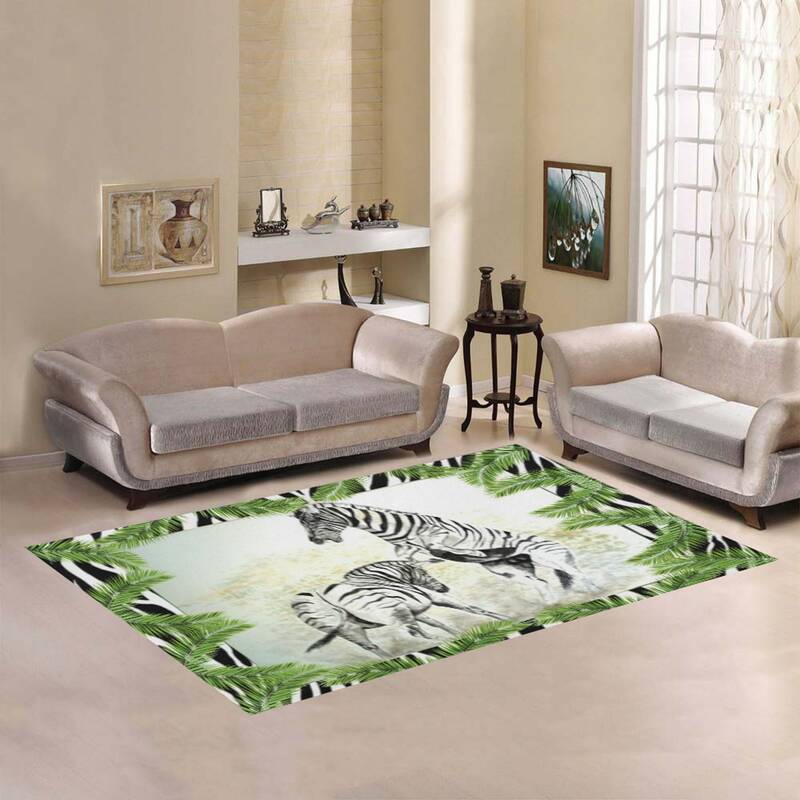 *60.7 Oz Made from 20% Plush, 70% Sponge, 10% Non-woven Fabric.